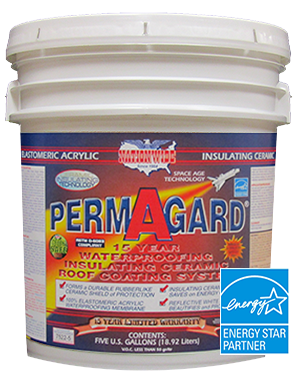 Bright white ELASTOMERIC waterproofing modified acrylic blend reflective economy grade roof coating. Excellent reflectivity, hide, adhesion, mildew resistance and waterproofing. Colors available (pastel/tint base only). SLOPED ROOFS ONLY. Weight per Gallon: 11.6 lbs. 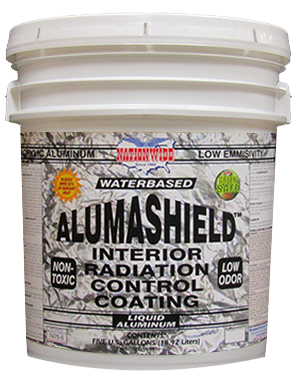 Aluminum Filled Interior Radiation Control Coating that Blocks over 82% of Radiant Heat. Blocks Heat Out & Keeps Heat In. 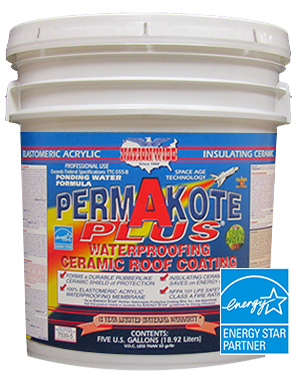 Elastomeric Waterproofing Insulating Ceramic Flat/No-Slope Roof Coating. Excellent Reflectivity, Hide, Adhesion & Mildew Resistance. 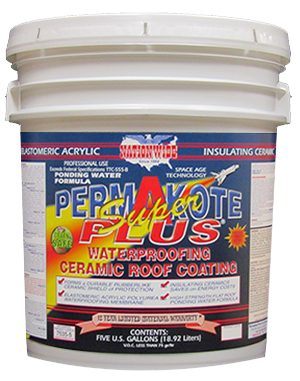 Elastomeric Polyurea Waterproofing Insulating Ceramic Limited Ponding Water Roof Coating. 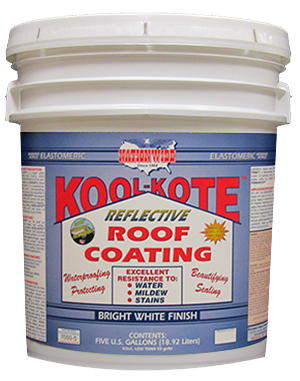 Excellent Reflectivity, Hide, Adhesion & Mildew Resistance.